ca 375 - 350 B.C. 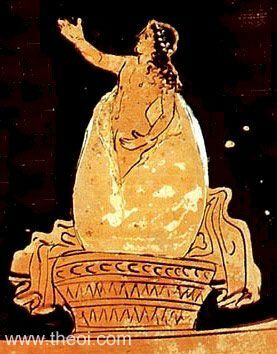 Detail of Helen hatching from an egg from a painting depicting a scene from a comedy-play. Helen's foster parents, Tyndareus and Leda, stand nearby (not shown) or, more accurately, actors wearing comedy-masks playing the parts.